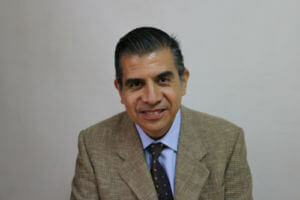 Daniel Ramos, Capacity Building Specialist, is responsible for supporting organizational strengthening efforts of LINC’s local partner on the USAID/Mexico Local Capacity Development Activity. Daniel has 15 years of practical experience in organizational development and capacity building for CSOs. In his nearly 10 years working with The Nature Conservancy, his role as Institutional Development Coordinator for Mexico and Guatemala has provided significant experience supporting CSOs to integrate proper project management procedures, and ensure effective deployment of internal and external resources. He has expertise in budgeting, resource allocation, financial management, and HR procedures, and has helped organizations of various sizes through Change Management Processes. Daniel holds a CPA from Universidad La Salle and an MBA from ITESM.